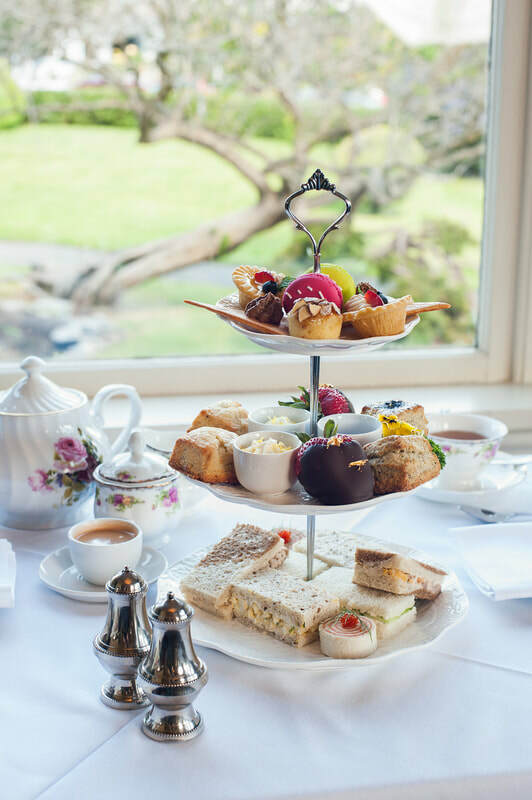 In keeping with the custom of the era, the Pendray Inn, located on Victoria's scenic Inner Harbour, features traditional Afternoon Tea at our heritage Tea House. 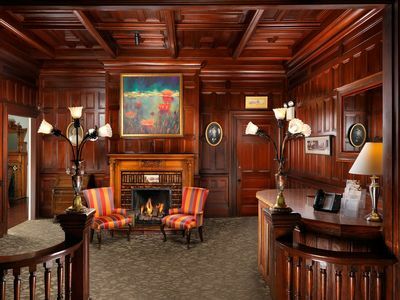 Enjoy a relaxing ambiance steeped in history & tradition, while sipping on exotic & international teas from around the globe. Our historic inn offers an ideal location for bespoke events, weddings and nuptials. Our Sales and Events Team will guide you and help you customize your special day. 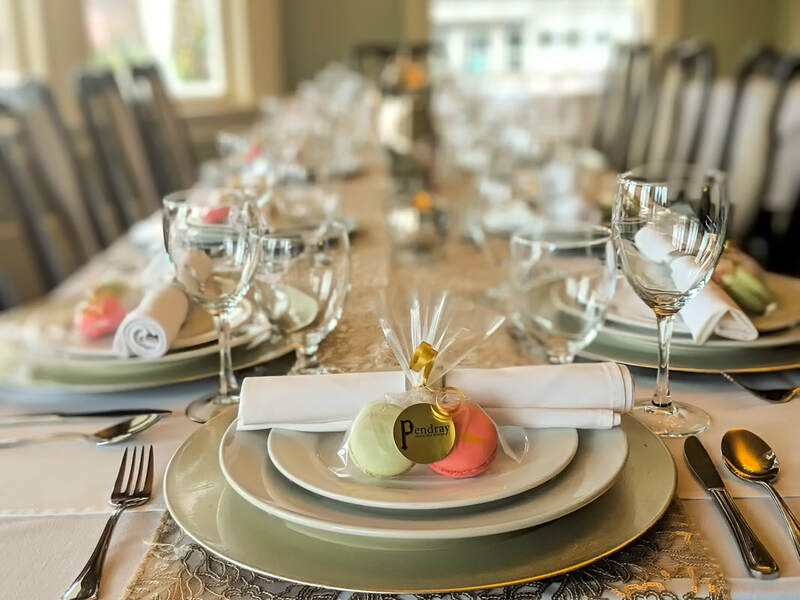 Visit the Pendray Inn and Tea House – and discover the timeless elegance and historic grandeur that defines our property. Once the stately home of William Joseph and Amelia Jane Pendray, the accomplishments of this couple can be admired today at the Pendray Inn and Tea House. We are located on Victoria's scenic Inner Harbour, a short walk from Victoria's great restaurants, shops and attractions. We look forward to welcoming you to the Pendray Inn and Tea House. Step back in time and surround yourself with historic splendour at the Pendray Inn and Tea House in Victoria, BC. Formerly known as the Gatsby Mansion, our inn welcomes you with authentic Victorian charm and impeccable service. Built in the late 19th-century as the family home of William and Amelia Pendray and their four sons, our inn is the perfect destination for corporate stays, memorable getaways, special occasions and weddings. 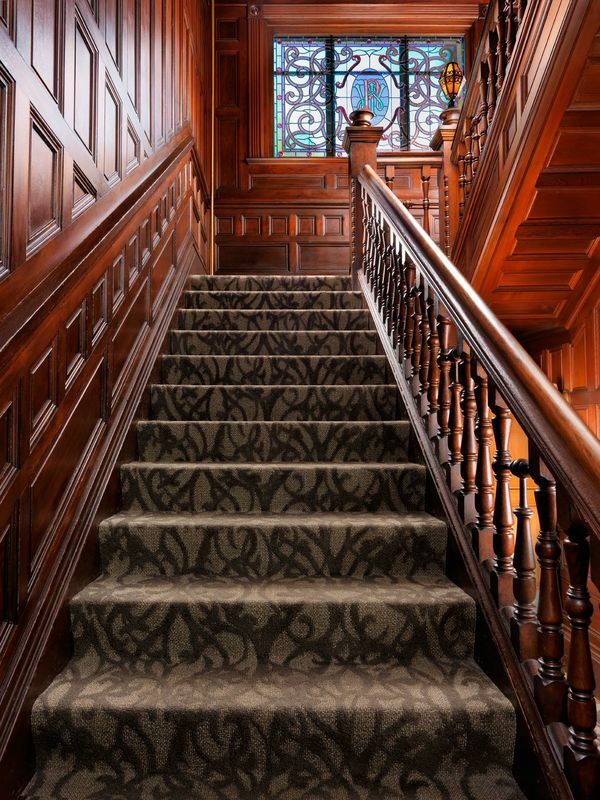 ​The moment you walk through our doors, you’ll know you’ve arrived somewhere special; lovingly restored interiors showcase beautiful woodwork, stained glass windows and crystal chandeliers. 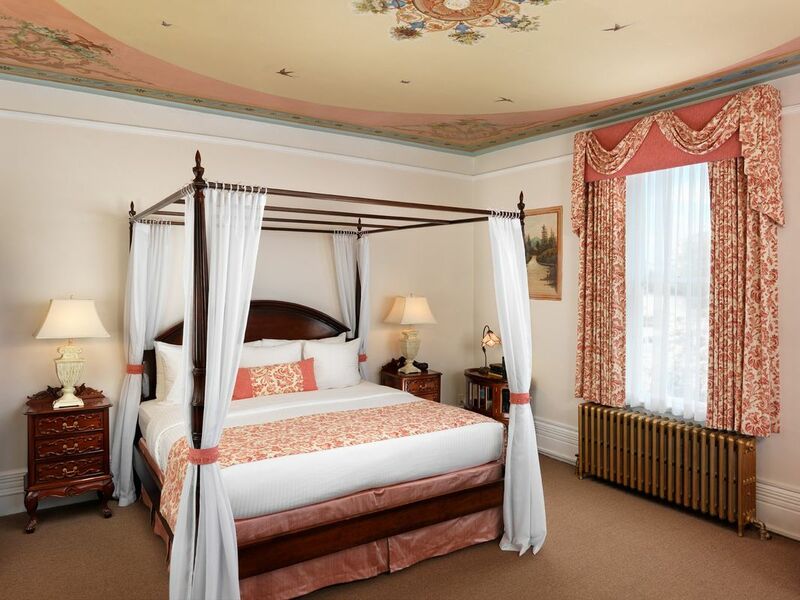 The Inn offers 9 lovingly restored guestrooms and suites, each with their own personality. Modern comforts, such as complimentary Wi-Fi access, flat-screen HD televisions, en-suite private washrooms ensure you'll enjoy a marvelous stay. Each morning of your stay, enjoy a delicious breakfast overlooking the Pendray Inn's meticulous gardens. Of course, no visit to the Inn is complete without enjoying Afternoon Tea at Pendray Tea House. 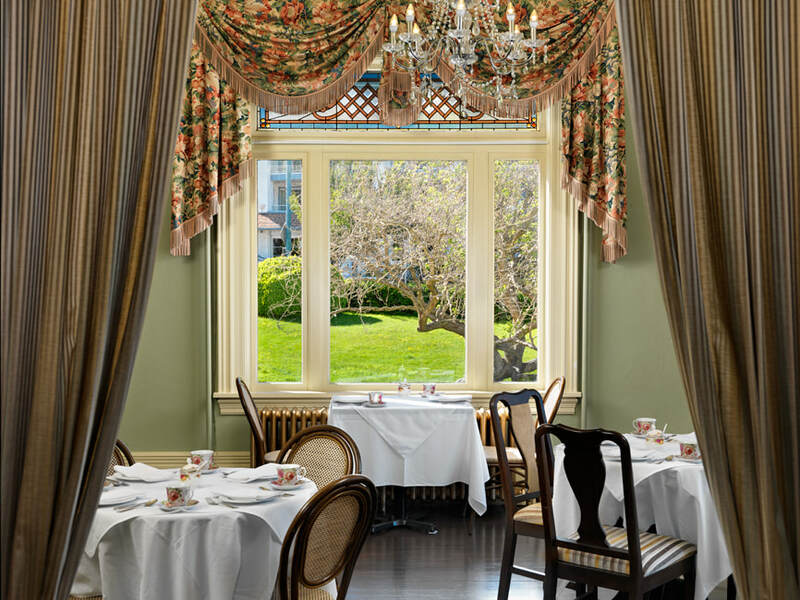 Our signature restaurant offers a window into the Victorian era, with its peaceful atmosphere, period furnishings, and scrumptious sweet and savoury offerings. Should you choose to venture beyond the Inn, you’ll find the best of Victoria just moments from our doorstep; our prime location places you minutes away from the Inner Harbour, Fisherman’s Wharf, and much more.